A recent decision of Sherrif Way at Dundee Sheriff Court has received widespread media attention today. 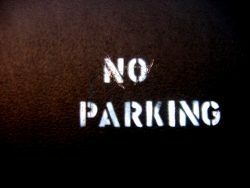 The case of Vehicle Control Services Limited v Carly Mackie involved parking at a residential development in Dundee. The defender had parked her vehicle on a daily basis in contravention of the terms and conditions associated with parking within the development. Vehicle Control Services managed the car park and repeatedly asked the defender to obtain a permit or park elsewhere. The defender refused and incurred 245 parking charge notices over a period of 18 months.